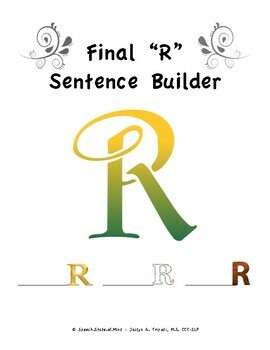 This worksheet includes "-ar," "-or," and "-er" words, which are sorted into three columns. First have the student practice each word in isolation. 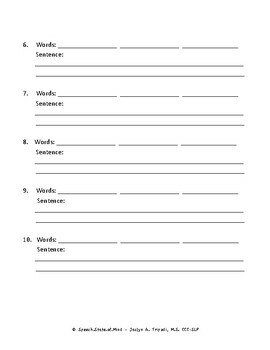 Now let's take it to the sentence level! 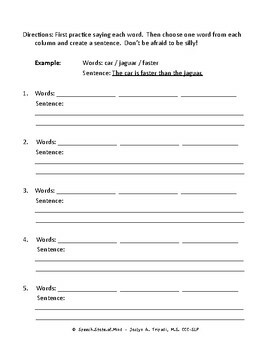 The student is required to pick a word from each column and create a sentence. The sillier the better! 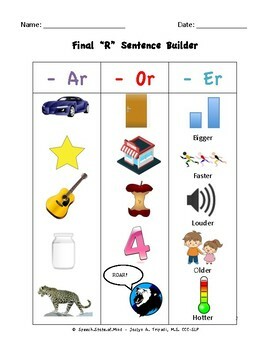 The "-er" targets include comparatives so your student can also work on comparing two items based on height, loudness, temperature, etc.